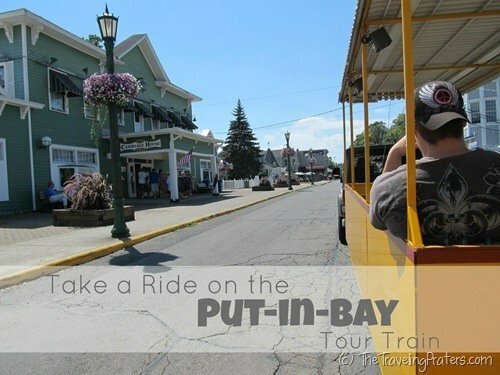 Consider the Put-in-Bay Tour Train your transportation to fun. Not only does the train transport you to many of the top attractions in and around Put-in-Bay, the tour guide does a great job educating you on the history of the island, while keeping things fun and lively. My teenage daughter actually told me this was her favorite activity though that changed once she drove a golf cart. The train allows you to hop on and off at select destinations. Though the train is intended as an easy mode of transportation for visitors to Put-in-Bay, we enjoyed our tour guide and the relaxing tour so much that we rode through the entire circuit and drove our own vehicle to each attraction that interested us later in the day. 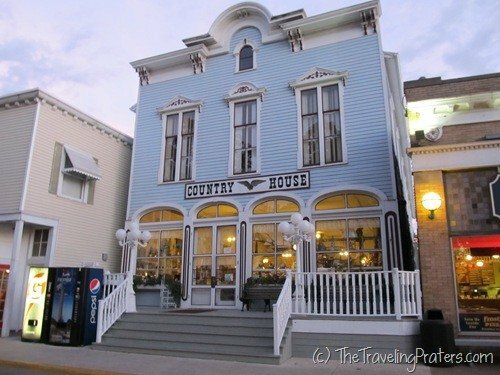 After pulling away from the Depot, our tour began with a drive down “Put-in-Bay’s Main street.” We passed by the carrousel, the historic Round House Bar and various restaurants and gift shops. I knew my daughter had paid close attention when we strolled through the area later and she commented on the Country House, which was once a hotel and now a gift shop. 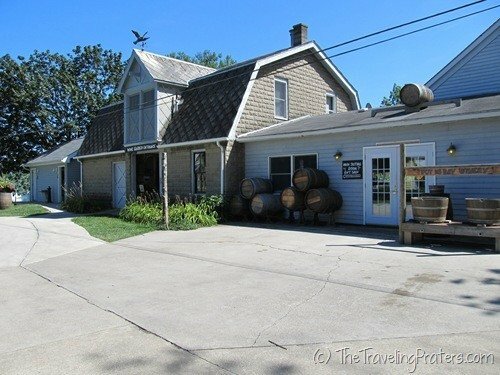 Our first stop was at the Doller Estate, home of the popular Put-in-Bay Winery. 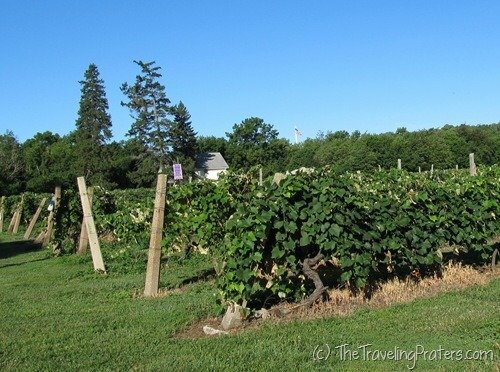 A tour of the winery and grounds is not included in the fun pack, but passengers of the fun train receive a $1 discount off the normal tour price. We learned that Ohio is one of the top wine producing states. I had no idea! We also learned that many of the street names, like “Catawba” are named after a type of grape. 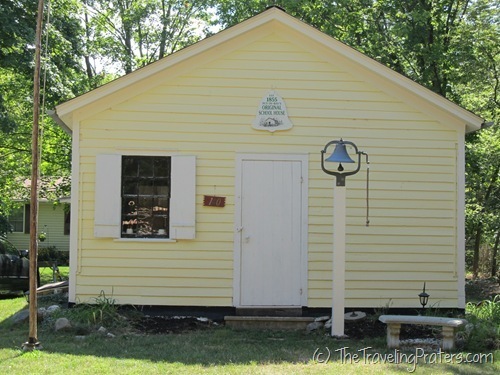 The beautiful Butterfly House at Put-in-Bay And perhaps the most popular of all, Perry’s Cave, an Ohio Natural Landmark, discovered by Commodore Oliver Hazard Perry during the War of 1812. 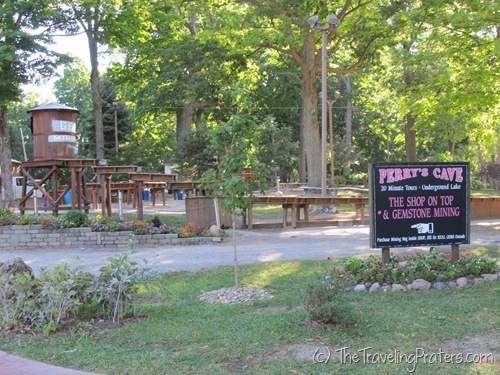 I need to mention one caution about Perry’s Cave. 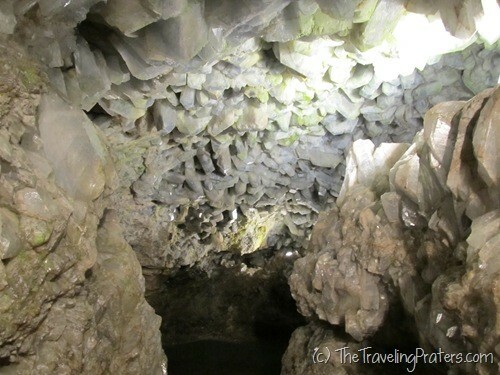 The steps leading to the cave are very narrow and it is a cave so of course they aren’t lit the best. If you have mobility issues, this may not be the best cave tour for you. The tour isn’t very long and there’s not a large amount of walking involved. Our favorite part of the tour was definitely our tour guide! She was phenomenal. I thought she was quirky, my kids thought she was a hoot, we all agree that she kept the mood light-hearted and fun. 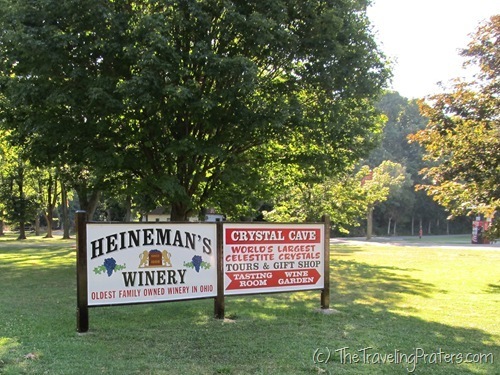 Directly across the street from Perry’s Cave Family Fun Center is Heineman’s Winery and Crystal Cave. My kids have wanted to step inside Crystal Cave since we learned about rocks and gemstones in our studies years ago! Crystal Cave is the world’s largest known geode. Essentially the tour leads you directly into the center of the crystal. The attraction is very neat to think about, maybe not as impressive to see, but still well worth the trip. After all, how many people can boast that they stood inside a geode? 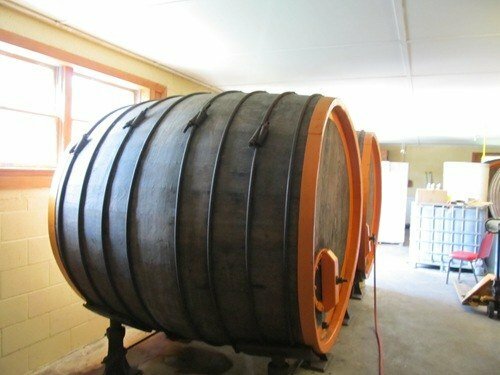 A quick tour of Heineman’s, Ohio’s oldest family owned winery, will score you a sample of wine or grape juice. We grabbed ours while we were waiting for our tour to begin. Leading back to the Depot, we rode past the airport, the original schoolhouse and the oldest church on the island. We gained an appreciation for island life which can be beautiful and relaxing during the warm summer months and not as idyllic during the frigid winter months. The train made one final stop at Perry’s Victory & International Peace Memorial & Visitor Center. The view from the observation tower is the best on the island, so make sure you pay the small fee to ride the elevator to the top and look out over the Lake Erie. 1. Tickets for each of these attractions can be purchased individually, but you’ll save money by purchasing an Island Fun Pack. 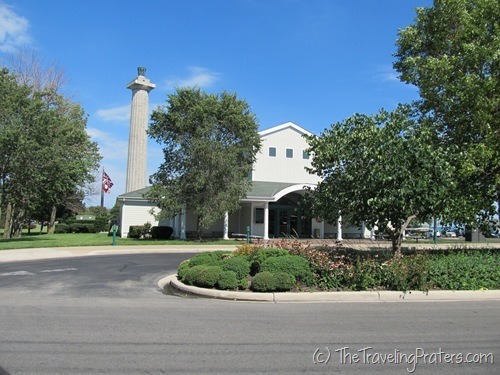 The Fun Pack includes Ferry to Put-in-Bay via Miller Boat Line or Jet Express, The Put-in-Bay Tour Train, Perry’s Cave, War of 18 Holes Miniature Golf, The Butterfly House at Put-in-Bay, Antique Car Museum (which is free) and Heineman Winery & Crystal Cave. The Island Fun Pack can be purchased at Miller Boat Line Ticket Booth in Catawba, Jet Express Ticket Booth in both Port Clinton & Sandusky, at the Lake Erie Shores & Islands Welcome Center on Route 53 North or at The Depot in downtown Put-in-Bay. 2. There is enough packed into the Island Fun Pack that you should plan to arrive early in the day to allow plenty of time to play. 3. We took our own vehicle across to South Bass Island but it wasn’t ideal. On busy days it can be hard to find a parking spot for a full size vehicle. Golf carts are much easier to navigate, if you don’t want to rent a golf cart, the tour train can take you to the attractions you want to see. 4. Plan for a full day or enjoy a more leisurely pace and spread your Island Fun Pack over two days. 5. The tour guide does accept tips so if you appreciate the tour, plan to save a couple bucks back to hand them at the end of the tour. 6. If you’re looking for inexpensive souvenirs, The Depot has a pressed penny machine. You can hop on the Put-in-Bay Tour Train Tour at The Depot in Downtown Put-in-Bay at the corner of Delaware & Toledo Avenue. Disclaimer: Our Island Fun Pack was arranged and provided complimentary by Lake Erie Shores and Islands. I was not monetarily compensated for this post. All opinions are my own. Great article! I’ll have to add this to my bucket list (which is getting very long now)! Thanks for commenting on my site…thats how I found yours. Glad I did too…this is really nicely done!